Contacts list is one of the most important files on our Android device. With AnyTrans for Android, you are able to manage the contacts on Android device in an efficient way, such as transferring contacts from Android device to computer, between Android devices directly, transferring contacts to Contact App on your Mac, as well as deleting & editing the contacts info on the Android device. 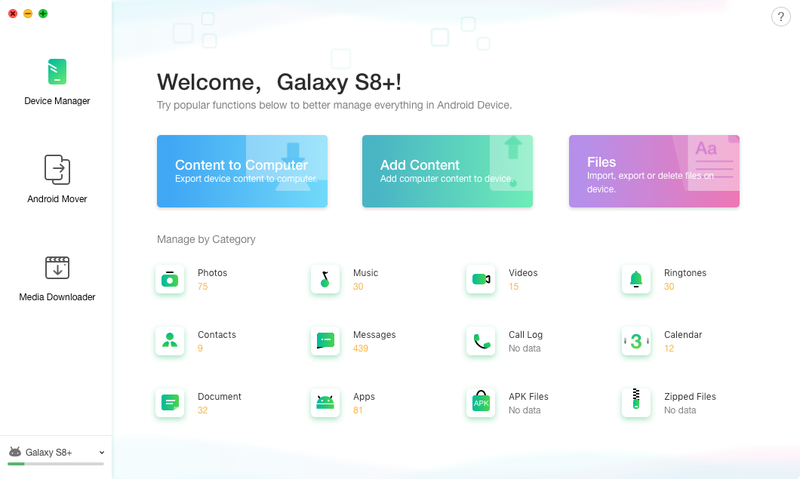 Please refer to detailed guide below to make good use of AnyTrans for Android. Once your Android device is detected, the main interface will pop up. Once the loading process is completed, it will display the total number of contacts on the right side of the Contacts icon. If it shows empty in the Contacts icon, it indicates that there is no contact in your Android device. To locate the files needed quickly, please click button. 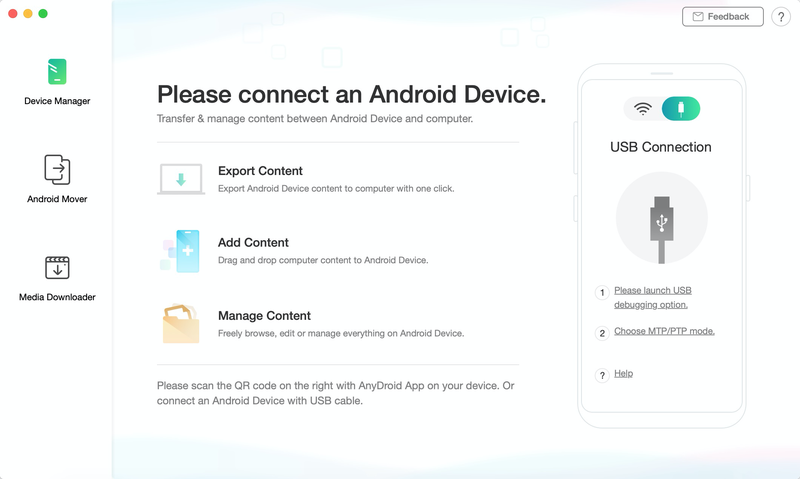 Transfer contacts to another Android device by clicking button. To transfer contacts from computer to device, please click button. If you want to add new contacts, please click button. 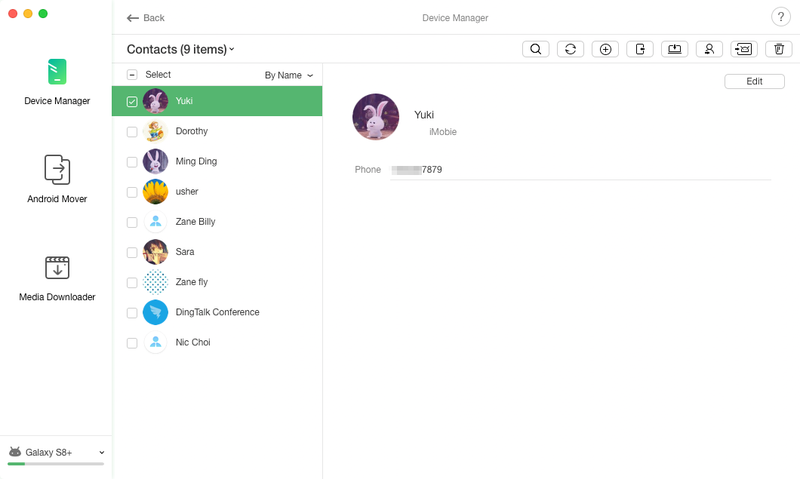 To transfer contacts from Android device to the Contacts App on computer, please click button (Only for Mac). To delete unwanted contacts, please click button. If AnyTrans for Android does not load your contacts correctly, please refresh the page by clicking button. Once the transferring process is completed, you will see “Transfer Completed” interface. If you want to locate the exported contacts, please click option. 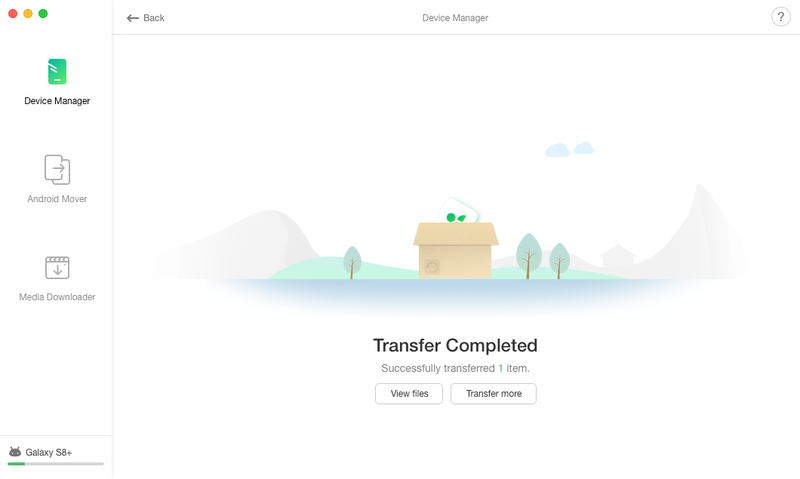 If you want to transfer more items, please click option. To go back to the previous interface, please click the button on the upper left of the interface.